An ambitious Go North East depot manager from South Shields showed age isn’t a barrier to success after winning two accolades at the North East Employee of the Year awards. 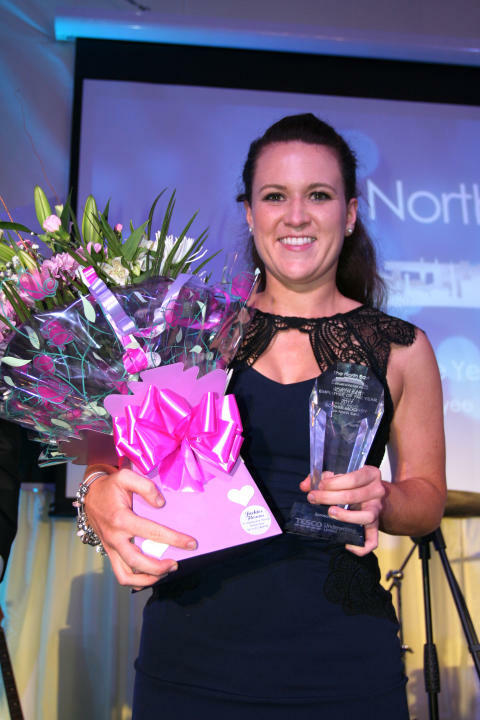 Sophie Moorby, 25, was named Young Employee of the Year and the overall North East Employee of the Year at the annual event, which celebrates the achievements of regional personnel going over and above in their day job. Stephen King, head of commercial and retail at Go North East, was also shortlisted in the Leadership category. Since joining the region’s largest bus operator nearly three years ago, Sophie’s impact on the business has been positively felt, thanks to the introduction of new initiatives to benefit her teams and customers. Just 12 months into a two-year graduate training scheme at Go North East, Sophie was invited into the role of Washington depot manager, where she headed up a team of 146 - making her the youngest employee in the company’s history to hold the position. Sophie’s achievements and commitment to Go North East and her high-regard within the business as someone who consistently delivers, pushes the boundaries and is an inspiration to others, where reasons cited by the judges for her awards wins. In the last 12 months, Sophie’s hard work and endless enthusiasm have also been recognised by both the UK Bus Awards and the FTA Everywoman in Transport and Logistics Awards where she won bronze in the Young Manager of the Year category and was shortlisted in the Rising Star title, respectively. 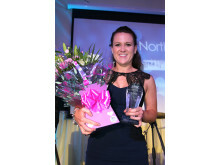 She also received a Special Commendation for ‘Going the Extra Mile’ at Go North East’s annual team awards. Hosted by the BBC’s Anna Foster, the awards ceremony welcomed over 200 guests to the Grand Marquee at Wynyard Hall Hotel. The evening included a three-course meal and entertainment from Newcastle’s very own Hip Hop Hooray.